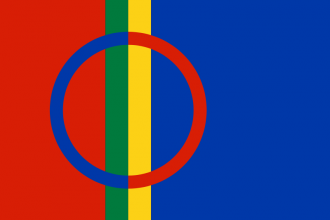 Sapmi is a nation in the Scandinavian region. It is also the primary nation of the Sami culture. It does not exist or have cores in any start, but can be formed due to rebellions. Due to Sapmi or its cores not appearing at any start date in the game, the player must spawn it using cheats or rebels. One method of playing as Sapmi would be starting the game as Sweden. As Sweden, the player should quickly gain its independence from Denmark to avoid annexation. Once the player has gained independence from Denmark, they should attempt to aggravate provinces with Sami culture and to keep their stability low as it increases the likelihood of rebels. Being Sweden, the player can more easily cause unrest by declaring war on Novgorod and taking Kola from them (the player should be weary of religious zealots from the province). Once Sami nationalist rebels have spawned, it is best that the player allow the rebels to siege out as many provinces of Sami culture as possible before swiftly crushing the rebels. By now, there should be Sapmi cores that the player can release and begin their game as Sapmi. The player can also release Finland to further weaken Sweden before they begin their game as Sapmi, however releasing Finland would make the player-lead Sapmi weaker due to losing much of their core territory that shares a core with Finland. If you are playing a nation that would be difficult to gain the provinces, or simply don't want to war, you can do it using spies. If Denmark annexes Sweden build a spy network and support Swedish rebels. If Denmark is unable to put the rebels down they will rise up in tremendous strength. From there Denmark's Stability will drop and more rebels will spawn. With there Sapmi Separatists will spawn and, assuming the Danish army is beaten by the Swedes, will gain independence. This page was last edited on 4 March 2019, at 00:35.